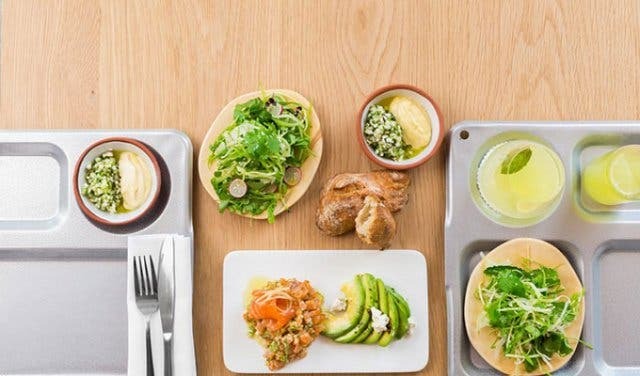 Luckily for the Mother City, there’s an all-new Gardens eatery that provides the ultimate solution: great tasting, nutritious fare minus all the traditional restaurant hassles. 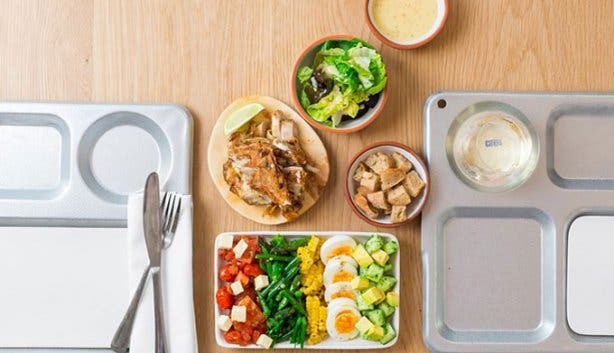 Launched in October 2016, Chefs – a fresh three-meal-only lunch spot situated on the corner of St John’s Street in Gardens – strives to create a unique space for people on the go to access top quality fare without the fuss. No printed menus comprising multiple dishes, no waiters standing between the kitchen and the customer and no waiting. Instead, there’s a daily three-meal (only) offering, a quick, hassle-free online ordering system and a swift serving process. 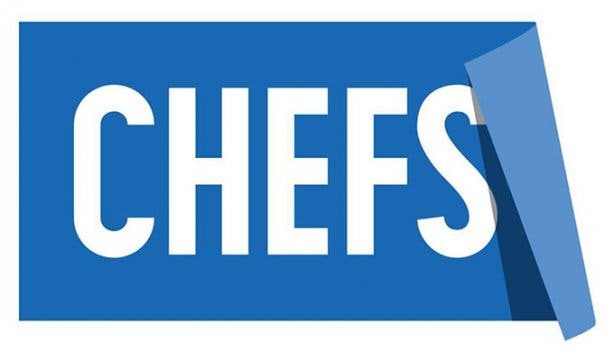 This is what Chefs is all about. 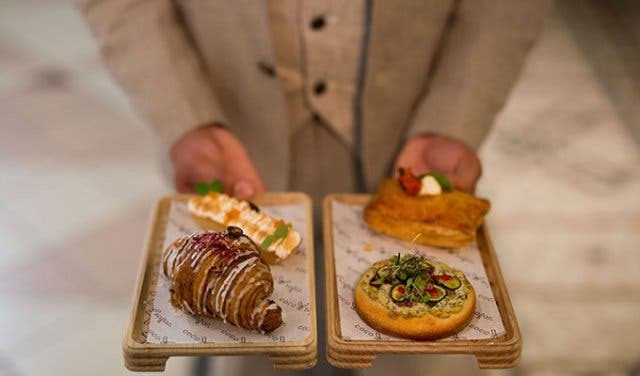 Brainchild of Justin Letschert (creator of the globally successful skincare brand Bio-Oil) and conceptualised in collaboration Adam Whiteman (founder of The Power and The Glory and Hallelujah), Chefs seeks to bridge the gap between high-class establishments and time-pressured customers. In essence, the new, chic Gardens eatery is all about simplifying the dining experience while efficiently treating customers to excellent high-quality and wholesome fare that one would expect from a first-rate establishment, but in a quarter of the time. The concept is simple: each day there are three main dishes (vegetarian, meat and lighter meal options available) and one dessert prepared. Customers can either browse these options daily online or can use one of the in-house iPads to see the various choices. On arrival, patrons order their meal using one of the eatery’s touch screens and pay immediately. 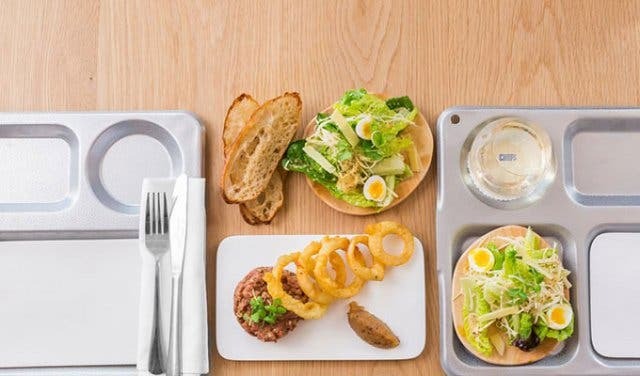 From there they take a seat at one of the space’s communal tables and before they know it their meal is quickly – and beautifully – brought to them on one of Chefs’s customised food trays. Once finished, diners are welcome to get up and leave. Sitting at the helm of establishment’s kitchen is locally and internationally acclaimed Head Chef Jenny Ward. 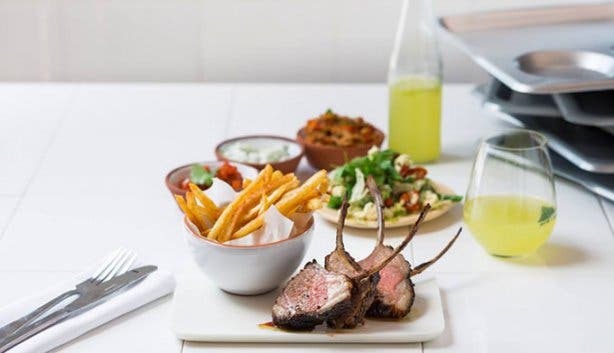 Inspired by wood-fired cooking – not to mention, a master at the fiery culinary method, too – Chef Jenny prepares honest and wholesome food using simple traditional techniques and carefully sourced raw ingredients. 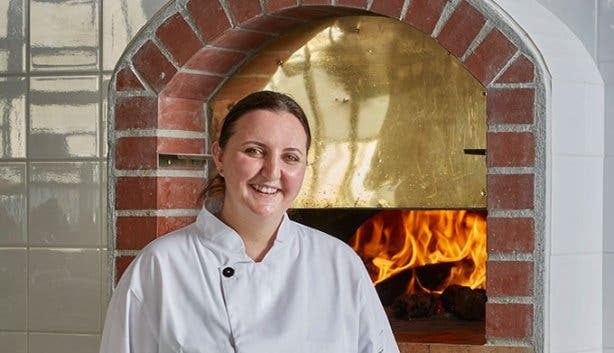 “I love the wood-oven; it’s amazing and creates a completely different flavour that you can’t recreate any other way. I use the oven completely from start to finish,” she explains. 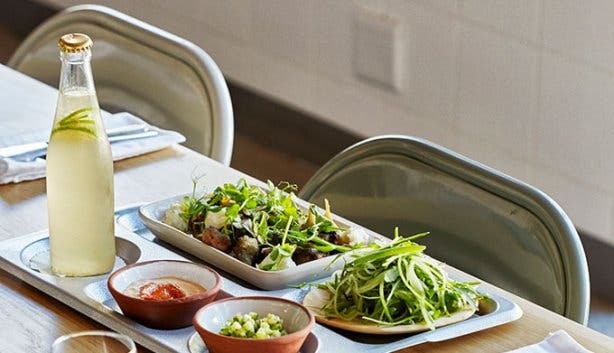 Focusing on balancing freshness, quality and bold flavours, Chefs’s evolving daily menu consists of beautifully curated seemingly simple generous dishes with intriguing savours brought about by Chef Jenny’s subtle and skilled use of the wood-fired brickwork oven. 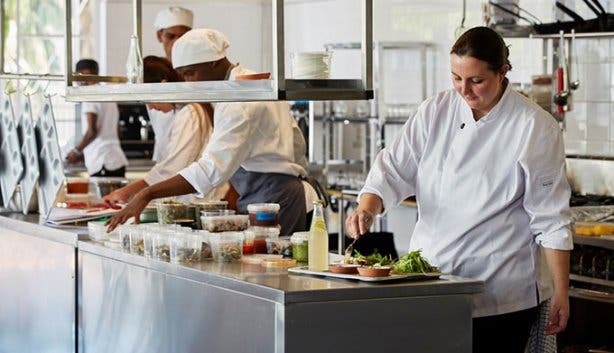 “The oven’s heat can go up to 500 degrees so it allows me to cook things very quick with a beautiful char so it’s almost like a braai flavour but not really,” elaborates Chef Jenny enthusiastically. Daily dishes may include BBQ lamb cutlets (bourbon BBQ basted Karoo lamb cutlets with crispy straw chips served with a salad of marinated fennel, cucumber, tomato and wild rocket, mint tzatziki, harissa, salsa and preserved lemon mayonnaise), carpaccio of tuna (seared fresh tuna slice and crispy, grilled prawns with a Vietnamese-style lime, soy, coriander and mint dressing served with a crisp vegetable slaw with green apple and jalapeno, crushed avocado and lemon salsa, lime mayonnaise and wood-fried melba toast) and charred aubergine, tomato terrine (terrine of charred aubergines, tomatoes and baby-leaf spinach with a salad of leafy summer greens, lemon confit, almonds and shaved pecorino cheese with buttered, oregano herbed flatbread, rocket pesto and chilli oil), just to give a tasty idea. 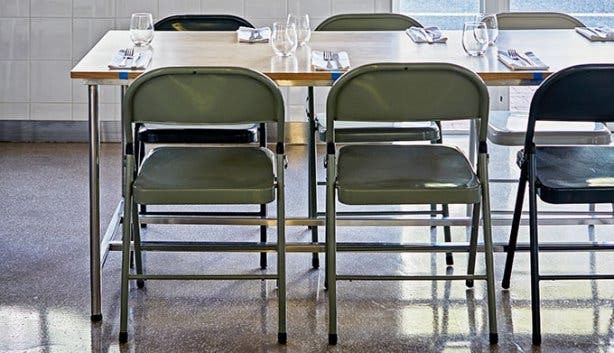 The restaurant is spacious with a minimal contemporary design and an upmarket canteen feel. 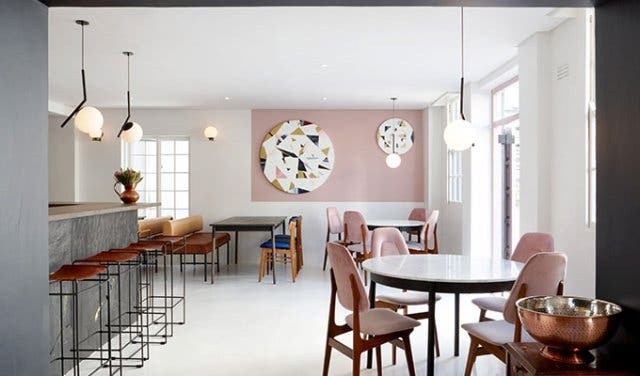 Complete with high ceilings and large windows facing onto the bustling sidewalk, the establishment is open and bright with plenty of natural sunlight streaming into the space. 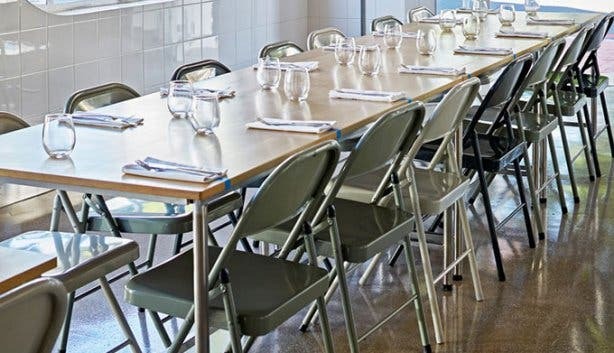 The open-plan kitchen, which takes up half of the area while its L-shaped seating area (comprising simple communal-styled wooden tables and stylish steel chairs) occupies the other half, encourages an atmosphere of patron-chef interaction and diners are presented with the unique opportunity to experience the hustle behind their dishes. The barrier less space awards guests uninterrupted views into the kitchen as well as to all the food prepping and assembling, not to mention, access to the warmth – and delicious aromas – of Chef Jenny’s much-loved wood-fired oven. 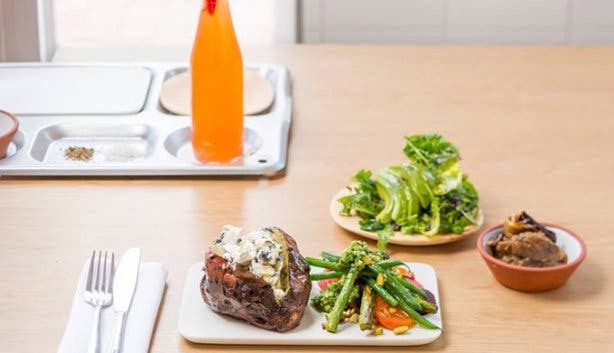 Designed for people on the go, Chefs is as ideal for CBD working folk looking for a healthy, wholesome meal during their limited lunch-breaks as it is for a leisurely lunchtime soirée. No matter the occasion, however, guests can expect nothing less than excellent, swiftly presented fare. No fuss. NOTE: Chefs plans to have its liquor license shortly. As soon as the Gardens haunt does, it will offer guests a choice of red and white wine as well as beer on tap. Filtered still or sparkling water is included with all meals. Tip: Choose what you want to order and eat before you arrive as the three meal options of the day are uploaded onto the Chefs website. Reservations are not necessary. 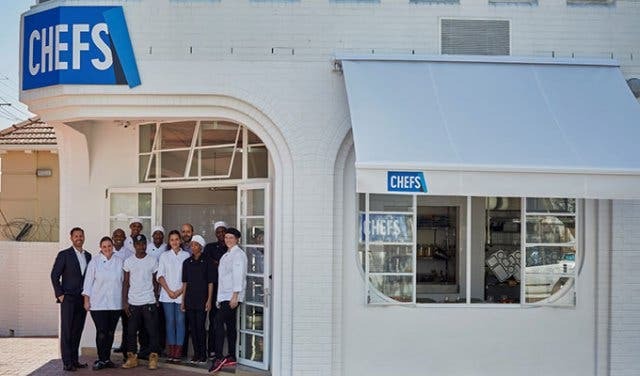 The Bill: Prices at Chefs reflects the top-quality fare and high-class restaurant vibe the eatery maintains. While it’s difficult to pinpoint the exact cost of each meal – owing to its daily menu – diners can expect to pay around R125 – R160 a meal.